Are you suffering from a toothache in Lone Tree? If so, the treatment necessary for you will depend on the reason for your discomfort. Toothaches can be acute or chronic, mild or severe. Today, our team at Metropolitan Dental Care explores how to determine the root cause of the issue and treat it effectively. If you are experiencing a severe toothache or other dental emergency, call us right away at 303-534-2626. We can help alleviate your pain so you can go back to enjoying life. What are the Potential Causes of a Toothache? Tooth decay: Unsurprisingly, the most common cause of toothaches is decay. When a cavity reaches the dentin, an internal layer of the tooth, it can make the tooth much more susceptible to sensitivity and further damage. Dental abscess: Deep decay or a large cavity can lead to a bacterial invasion of the pulp chamber. When this occurs, a dental abscess can form. This condition may be characterized by extreme discomfort or swelling of the jaw. Gum disease: While tooth pain is typically not evident in the early stages of gum disease, toothaches often occur once the condition becomes severe. Fractures: If you sustain a large fracture, it could compromise the internal structure of the tooth, causing an infection of the pulp. Sensitivity to hot or cold: As the enamel wears thin from erosion or decay, the teeth can become much more sensitive to extreme temperatures. Damaged restorations: Old restorations that have fallen out or become damaged can cause significant discomfort. Bruxism: If you clench or grind your teeth, it can eventually cause erosion, mobility, jaw pain, toothaches, and more. Aggressive oral hygiene: Brushing too hard or using a hard-bristled brush can cause damage to the teeth and gums, resulting in discomfort. Misalignment: When the teeth are out of alignment, it can cause excessive or uneven pressure across your bite. In turn, this can lead to toothaches and other dental pain. Impacted wisdom teeth: When the third molars grow in at an angle or become trapped in the bone, they can place an immense amount of pressure on the neighboring teeth. This can cause shifting, pain, and discomfort. The only way to know what is causing your toothache is to visit your dentist. During an examination, he or she will perform a full assessment of your teeth, gums, and other oral structures. Most likely, x-rays or scans will also be taken to identify any underlying problems in the roots or surrounding bone. In addition, your dentist will also review your health history at length. Certain conditions, such as sinus infections, can contribute to tooth pain. As mentioned above, the exact treatment necessary will depend on the cause of your toothache. If you have decay, the cavity will be repaired with a filling, crown, or other restoration. In severe cases, an extraction may even be necessary. If an abscess is present, root canal therapy will be performed to remove the infection and restore the tooth. We also provide gum treatments if your dental pain is associated with periodontal disease. 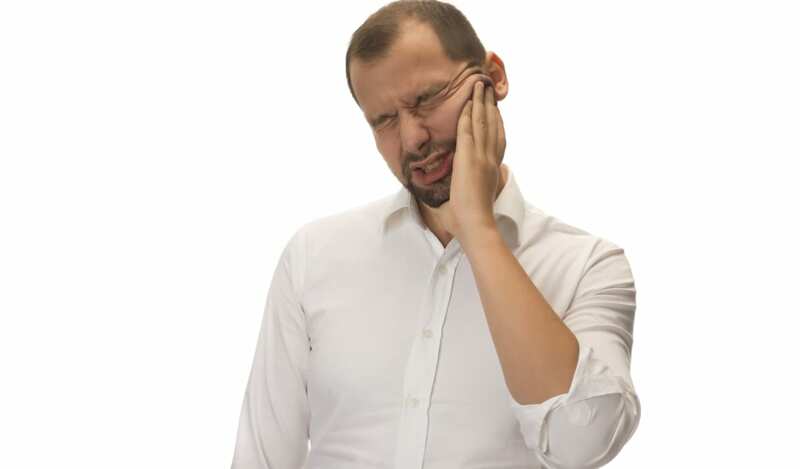 No matter what your needs, we can treat a toothache in Lone Tree and help you eliminate your discomfort. If you are experiencing a toothache in Lone Tree, you don’t have to suffer for one more day. At Metropolitan Dental Care, our Lone Tree dentists are well-equipped to handle any dental scenario that comes your way. We are happy to serve Denver and the surrounding communities of Lone Tree, Highlands Ranch, Parker, and Centennial. To learn more, contact us online or call us at 303-534-2626.